With the increase in legislation and the drive for ever-greater efficiency and accountability, health and safety in construction is becoming an increasingly important subject. 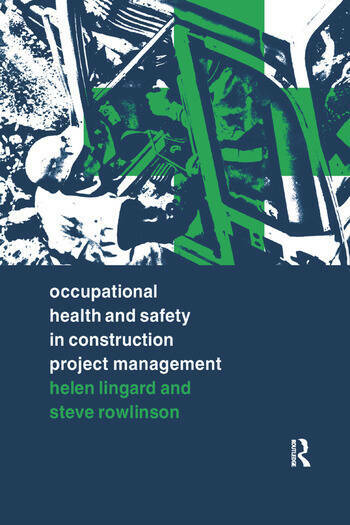 This book covers the essential issues that apply specifically to construction projects, including the nature and causes of occupational injury or illness, project organisation and OHS, OHS risk management, OHS legislation, the psychology of OHS, behavioural safety management, using IT to manage OHS, and OHS training. Numerous case studies illustrate important points and refer to current successful safety management techniques, giving practical guidance to the practitioner and putting the issues into context for the student. This book will be of specific interest to clients, project managers, specialist consultants, designers, contractors, sub-contractors and suppliers. Dr Helen Lingard was formerly Lecturer in Construction Management at the University of Melbourne, Victoria, Australia. Professor Steve Rowlinson is a Lecturer in the Department of Real Estate and Construction at the University of Hong Kong.